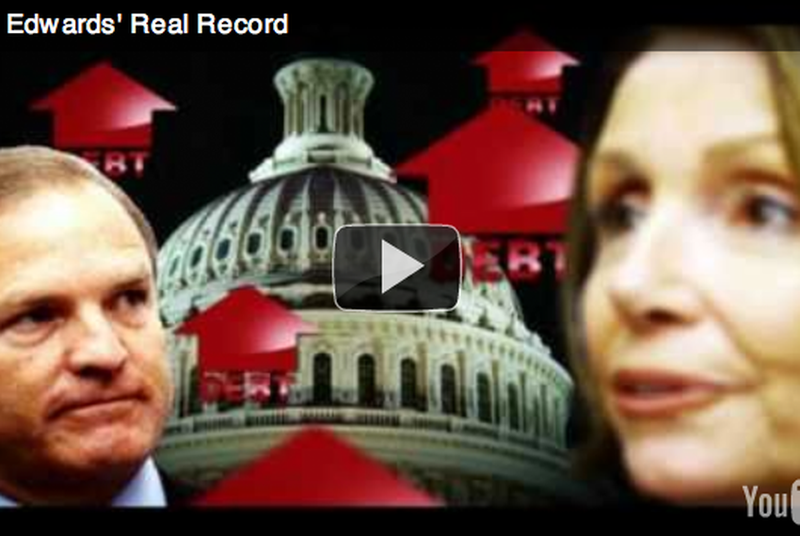 Ads Infinitum: NRCC's "Chet Edwards' Real Record"
The National Republican Congressional Campaign Committee's second CD-17 ad strikes a familiar theme: U.S. Rep. Chet Edwards' support of Speaker Nancy Pelosi. The National Republican Congressional Campaign Committee's latest CD-17 ad strikes a familiar theme: U.S. Rep. Chet Edwards' support of Speaker Nancy Pelosi. Focusing on the national debt and unemployment rates, the spot says Edwards and Pelosi "increased our debt," passed laws that "discouraged hiring," and spent $800 billion on a failed stimulus plan.